It doesn´t get any closer than this! Our Treff replica is so close to the original, we had trouble telling them apart. We think you will, too! We´ve gone to great lengths to duplicate the original down to the last detail. From the intricate hand airbrushing to the patented, half-covered glass eyes, to the original light brown colored cotton velvet fabric to the hand wood stuffing, Treff is simply fabulous - and tremendously accurate in every way! 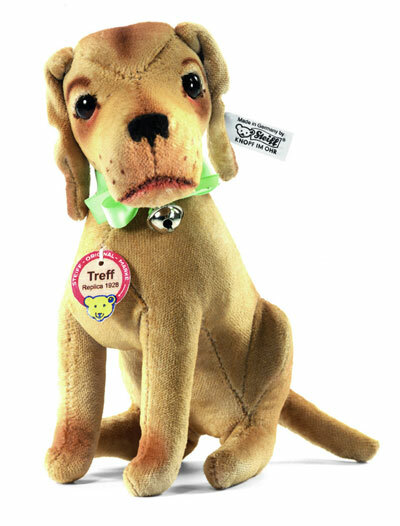 Treff´s neck is jointed and he has wire in his front and back legs to help him sit properly - just like the original. Treff sets a new standard for replicas. Own him today! .